1. DE OLIVEIRA, TATIANE C. ; SANTOS, HUDSON P. ; LAHOUD, MARCELO G. ; FRANCO, DOUGLAS F. ; Freire, Ricardo O. ; Dutra, José Diogo L. ; CUIN, ALEXANDRE ; DE LIMA, JULIANA F. ; MARQUES, LIPPY F. . Elucidating the energy transfer process in mononuclear and binuclear lanthanide complexes of the anti-inflammatory drug ibuprofen: From synthesis to high luminescence emission. Journal of Luminescence, v. 181, p. 196-210, 2017. 2. LIMA, NATHALIA B. D. ; Dutra, José Diogo L. ; GONÇALVES, SIMONE M. C. ; Freire, Ricardo O. ; Simas, Alfredo M. . Chemical Partition of the Radiative Decay Rate of Luminescence of Europium Complexes. Scientific Reports, v. 6, p. 21204, 2016. 3. FILHO, MANOEL A. M. ; Dutra, José Diogo L. ; Rocha, Gerd B. ; Simas, Alfredo M. ; Freire, Ricardo O. . Parameters for the RM1 Quantum Chemical Calculation of Complexes of the Trications of Thulium, Ytterbium and Lutetium. Plos One, v. 11, p. e0154500, 2016. 4. BORGES, ALEX SANTOS ; CALIMAN, EWERTON VALADARES ; Dutra, José Diogo L. ; DA SILVA, JEFERSON G. ; ARAUJO, MARIA HELENA . Structure and luminescent investigation of new Ln(III)-TTA complexes containing N-methyl-ε-caprolactam as ligand. Journal of Luminescence, v. 170, p. 654-662, 2016. 5. SANTANA, ALOÍSIO DE JESUS ; DA SILVA, DANYLO ALVES ; MACHADO, EDNA DA SILVA ; DE ALMEIDA, KATIA JÚLIA ; Felicíssimo, Viviane Costa . Fragmentation dynamics of methane induced by femtosecond laser pulses. Applied Physics. B, Lasers and Optics (Print), v. 122, p. 1-5, 2016. 6. BATAGLION, GIOVANA A. ; SOUZA, GUSTAVO HENRIQUE MARTINS FERREIRA ; HEERDT, GABRIEL ; MORGON, NELSON H. ; DUTRA, JOSÉ DIOGO LISBOA ; FREIRE, RICARDO OLIVEIRA ; EBERLIN, MARCOS N. ; TATA, ALESSANDRA . Separation of glycosidic catiomers by TWIM-MS using CO 2 as a drift gas. Journal of Mass Spectrometry (Print), v. 50, p. 336-343, 2015. 7. MACHADO FILHO, MANOEL ALVES ; Dutra, José Diogo L. ; ROCHA, GERD BRUNO ; SIMAS, ALFREDO ; FREIRE, RICARDO OLIVEIRA . RM1 Modeling of Neodymium, Promethium, and Samarium Coordination Compounds.. RSC Advances: an international journal to further the chemical sciences, v. 5, p. 12403-12408, 2015. 8. MARQUES, LIPPY F. ; CORREA, CHARLANE C. ; RIBEIRO, SIDNEY J.L. ; DOS SANTOS, MOLÍRIA V. ; Dutra, José Diogo L. ; Freire, Ricardo O. ; MACHADO, FLÁVIA C. . Synthesis, structural characterization, luminescent properties and theoretical study of three novel lanthanide metal-organic frameworks of Ho(III), Gd(III) and Eu(III) with 2,5-thiophenedicarboxylate anion. Journal of Solid State Chemistry (Print), v. 227, p. 68-78, 2015. 9. Dutra, José Diogo L. ; FILHO, MANOEL A. M. ; Rocha, Gerd B. ; Simas, Alfredo M. ; Freire, Ricardo O. . RM1 Semiempirical Quantum Chemistry: Parameters for Trivalent Lanthanum, Cerium and Praseodymium. Plos One, v. 10, p. e0124372, 2015. 10. Dutra, José Diogo L. ; LIMA, NATHALIA B. D. ; Freire, Ricardo O. ; Simas, Alfredo M. . Europium Luminescence: Electronic Densities and Superdelocalizabilities for a Unique Adjustment of Theoretical Intensity Parameters. Scientific Reports, v. 5, p. 13695, 2015. 11. DANIEL, CARLOS RAPHAEL ARAUJO ; RODRIGUES, NAILTON MARTINS ; DA COSTA, NIVAN BEZERRA ; FREIRE, RICARDO OLIVEIRA . Are Quantum Chemistry Semiempirical Methods Effective to Predict Solid State Structure and Adsorption in Metal Organic Frameworks?. Journal of Physical Chemistry. C, v. 119, p. 150923135541006, 2015. 12. FRANCIS, BIJU ; HEERING, CHRISTIAN ; Freire, Ricardo O. ; REDDY, M. L. P. ; JANIAK, CHRISTOPH . Achieving visible light excitation in carbazole-based Eu -β-diketonate complexes via molecular engineering. RSC Advances: an international journal to further the chemical sciences, v. 5, p. 90720-90730, 2015. 12. MACHADO, M. A. F. ; Dutra, J.D.L. ; ROCHA, G. B. ; SIMAS, A. M. ; FREIRE, R. O. . Semiempirical Quantum Chemistry Model for the Lanthanides: RM1 (Recife Model 1) Parameters for Dysprosium, Holmium and Erbium. Plos One, v. 9, p. e86376, 2014. 13. SHUVAEV, SERGEY ; UTOCHNIKOVA, VALENTINA ; MARCINIAK, ‘UKASZ ; FREIDZON, ALEXANDRA ; SINEV, ILYA ; VAN DEUN, RIK ; Freire, Ricardo O. ; ZUBAVICHUS, YAN ; GRÜNERT, WOLFGANG ; KUZMINA, NATALIA . Lanthanide complexes with aromatic o-phosphorylated ligands: synthesis, structure elucidation and photophysical properties. Dalton Transactions (2003. Print), v. 43, p. 3121-3136, 2014. 14. Dutra, José Diogo L. ; BISPO, THIAGO D. ; Freire, Ricardo O. . LUMPAC lanthanide luminescence software: Efficient and user friendly. Journal of Computational Chemistry, v. 35, p. 772-775, 2014. 15. DA SILVA VIANA, RODRIGO ; LAGO FALCÃO, EDUARDO HENRRIQUE ; LISBOA DUTRA, JOSÉ DIOGO ; DA COSTA, NIVAN BEZERRA ; FREIRE, RICARDO OLIVEIRA ; ALVES, SEVERINO . New experimental and theoretical approach in Eu2O3 microspheres: From synthesis to a study of the energy transfer. Journal of Photochemistry and Photobiology. A, Chemistry, v. 281, p. 1-7, 2014. 16. RODRIGUES, CARIME V. ; LUZ, LEONIS L. ; Dutra, José Diogo L. ; Junior, Severino A. ; MALTA, OSCAR L. ; GATTO, CLAUDIA C. ; STREIT, HUAYNA C. ; Freire, Ricardo O. ; WICKLEDER, CLAUDIA ; RODRIGUES, MARCELO OLIVEIRA . Unusual photoluminescence properties of the 3D mixed-lanthanide-organic frameworks induced by dimeric structures: a theoretical and experimental approach. PCCP. Physical Chemistry Chemical Physics (Print), v. 16, p. 14858-14866, 2014. 17. BIJU, SILVANOSE ; Freire, Ricardo O. ; EOM, YU KYUNG ; SCOPELLITI, ROSARIO ; BÜNZLI, JEAN-CLAUDE G. ; KIM, HWAN KYU . A Eu Tetrakis(β-diketonate) Dimeric Complex: Photophysical Properties, Structural Elucidation by Sparkle/AM1 Calculations, and Doping into PMMA Films and Nanowires. Inorganic Chemistry, v. 53, p. 8407-8417, 2014. 18. FILHO, MANOEL A.M. ; Dutra, José Diogo L. ; CAVALCANTI, HIGO LIMA BEZERRA ; ROCHA, GERD BRUNO ; SIMAS, ALFREDO MAYALL ; FREIRE, RICARDO OLIVEIRA . RM1 Model for the Prediction of Geometries of Complexes of the Trications of Eu, Gd, and Tb.. Journal of Chemical Theory and Computation, v. 10, p. 140612160629001-3037, 2014. 19. 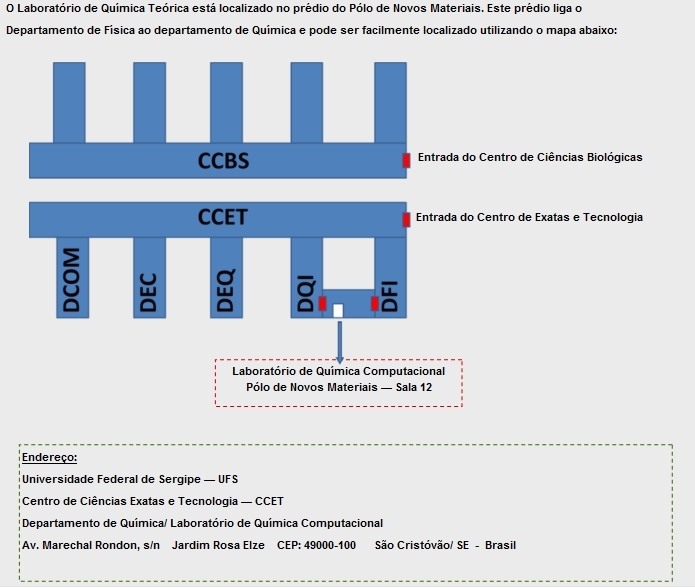 FELÍCIO, MARIO R. ; NUNES, TERESA G. ; VAZ, PATRÍCIA M. ; BOTAS, A. M. P. ; RIBEIRO-CLARO, PAULO ; FERREIRA, RUTE A. S. ; Freire, Ricardo O. ; VAZ, PEDRO D. ; CARLOS, LUÍS D. ; NUNES, CARLA D. ; NOLASCO, MARIELA M. . Modelling the luminescence of extended solids: an example of a highly luminescent MCM-41 impregnated with a Eu β-diketonate complex. J MATER CHEM C, v. 2, p. 9701-9711, 2014.